CALGARY - Premier Alison Redford has announced new steps to prevent a repeat of the disastrous floods that struck southern Alberta last summer. Redford told a Calgary audience that reviews are set to begin on a diversion channel around High River and on a dry dam upstream of Calgary. The province will also give money to the city of Calgary to study the merits of an underground diversion channel from the Glenmore Reservoir to the Bow River. As well, six erosion control projects are soon to begin in parts of Medicine Hat. The new projects are part of a broader strategy to reduce the effects of widespread flooding. 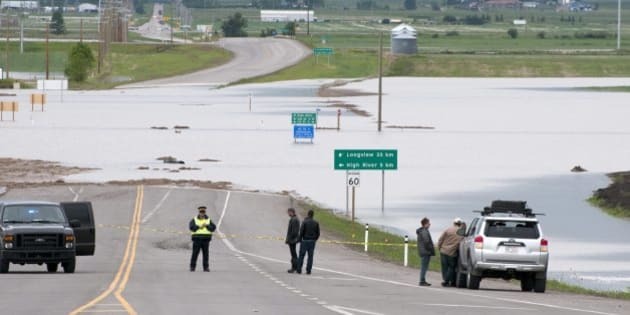 In June, heavy rains forced tens of thousands of southern Alberta residents to flee their homes and caused billions of dollars in property damage.